The lowest prices on every POS hardware product. If you're looking for a barcode scanner, receipt printer, pole display, cash drawer, card reader, or anything else, give us a call or order online. Also available for review, touch screen monitors, pos terminals, barcode and label printers, thermal receipt paper and standard receipt paper, and ink cartridges. Call (866) 468-5767 for prices. Call us for our POS and inventory solutions for your iPod, iPhone, iPad, Blackberry and Android Smartphone! 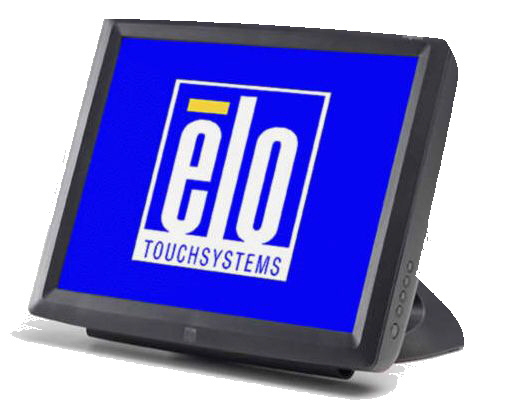 The Elo 1520 all-in-one touchcomputer offers a heightened level of performance to graphic-intensive programs, such as patient bedside entertainment, retail digital signage, point-of-information and table-top gaming where improved processor speeds and top display graphics are required. The retail-rugged 15A1 features a spill-resistant sealing, a removable/reversible tilt stand for simple wall-mounting, easily hidden cables, as well as side controls with lockout for public use. The 15A2 touchcomputer comes equipped with a dual video display as well as a choice of top Elo TouchSystems touch technologies which include: AccuTouch five-wire resistive, IntelliTouch surface acoustic wave, CarrollTouch infrared and the company's innovative Acoustic Pulse Recognition (APR) that blends the benefits of all three. With more versatility, and a larger screen, the Elo 17A2 is the perfect fit for someone looking for a compact touch computer that will integrate into almost any point-of-service environment. The 15D1 15" all-in-one touch computer offers style, flexibility and functionality to point-of-sale, retail and hospitality businesses. With a wide array of field-installable peripherals, and a range of input/output connection options, it is versatile and powerful.